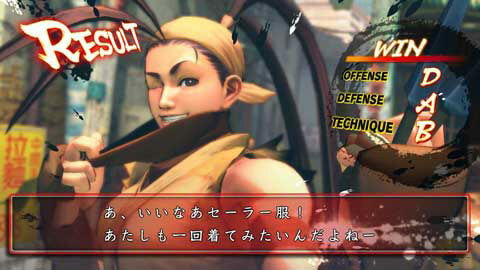 Super Street Fighter 4's Battle Planner, Sano, joins the rest of the crew to discuss Ibuki in the latest blog entry that was translated by Azrael. 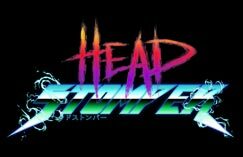 The Street Fighter 3 characters have finally been announced! This week, of the 3 new characters, I'd like to focus on Ibuki. 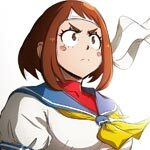 I'm sure everyone would like to hear more about her moves and what it took to get her in Street Fighter 4, so director Okada as well as the main battle planner will be joining me this time around. So now let's meet the battle planner. Hello, I'm the planner Sano. I'm the type of old guy who wakes up early, goes to work, works until late, and then gets up early the very next morning (laughs). 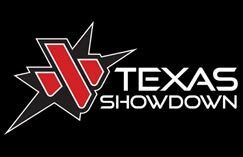 For the development of Super Street Fighter 4, I'm particularly working on things relating to the battle, and character adjustments. Since I'm an old guy, you'll find rice crackers on top of my desk. Just give me rice crackers and tea and I'm in paradise. First off, tell us the details of how Ibuki was added to the game. We've mentioned this several times before, but a basis of the Street Fighter 4 series has been to celebrate 20 years of Street Fighter, by having a reunion of sorts. 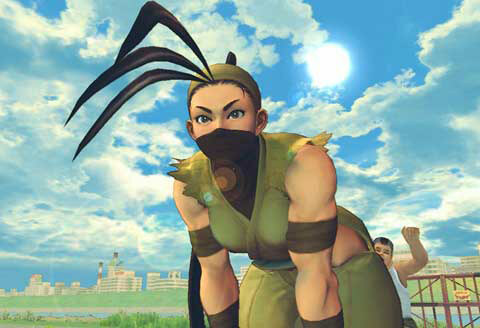 We were able to get Alpha characters in Street Fighter 4, so this time we wanted to give Street Fighter 3 fans something, and as Ibuki was the most popular of the female characters she was decided on. What do you think is Ibuki's charm? First, I think its her appearance. In other games we have cyber-ninjas, or ninjas in regular clothes - there are a lot of ninjas, but always with sort of a twist. Ibuki has the mask and the ninja outfit, so you know immediately that she's a ninja, and I think a lot of players really got in tune with that. Also, while she has this old-time ninja look, she herself is in the middle of her youth and is a girl of the current times, so that contrast is also appealing. How do you bring out the feel of Ibuki in Super Street Fighter 4? For Ibuki's moves, we didn't want players who used her in Street Fighter 3 to feel that something was off, so we're making her playstyle as close to Street Fighter 3 Ibuki as possible. Also, as Okada said, she's an orthodox ninja at first glance, but her character is one of a normal girl, so we are trying to bring out her feminine side in her lines and dialogue as well as in her proportions. The text says "Oh, the sailor school uniform is nice! I'd like to try it on once myself." What has been retained from Street Fighter 3? The most important thing is her playstyle and feel. Even though they are the same series, the systems of Street Fighter 4 and Street Fighter 3 are pretty different. So with the game's speed and timing, there are certain things that just have to change. 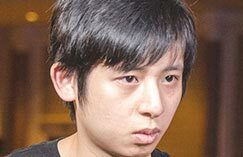 But, for the players who have been playing since Street Fighter 3, I think they have a natural feel for when to do a punch, kick, or special move - its ingrained into them. So we're making adjustments to try and preserve that feeling as much as possible. So we've given Ibuki a super jump. In Street Fighter 4, the only character who could super jump was C. Viper. It was necessary for putting together many of her combos, and I felt that was interesting. So for Ibuki, same as Viper, we're making adjustments for Ibuki to have combos that utilize the super jump. Were there any difficulties in making Ibuki? She has the Kasumi Gake (command dash) and the Tsuijigoe (ninja flip) ... The Kasumi Gake closes in on the opponent in an instant from afar, and the Tsuijigoe flies over their heads. But unlike other special moves, these moves don't actually attack. In Street Fighter 3, if Ibuki used the Kasumi Gake or Tsuijigoe to get in close, afterwards if you could read what she was going to do you could fend it off with a parry. But since there's no parry in Street Fighter 4, if Ibuki suddenly went from being full screen to in your face, that was a little hard to deal with. And with her target combos, if you ate a jab then you were going to be eating a lot of moves after that. At the beginning of development, we put in her target combos almost the same as they were in Street Fighter 3. What happened is that if she got in close once, the match was pretty much over (laughs). So first off, we did a thorough tweaking of the distances of her moves like Kasumi Gake and Tsuijigoe. We re-did it over and over again, so we were really a lot of trouble for the motion director. No no, its because of things like that that the games becomes interesting, so they are necessary. There are plenty of areas where if one thing works then another won't. Achieving balance within the system also works this way. In Street Fighter 4 we have the Focus Attack, which is sort of similar to parries, but as Focus only absorbs one hit, it loses badly to target combos. So for this game, finding a balance between target combos and the Focus system was our biggest worry. How did you deal with target combos? There were a lot of things to worry about, but we eventually made them along the reasoning that they're not so much a combo as they are a special move. For example, for the Shoryuken in this game, with one command you get two hits, not withstanding whether it actually connects on the opponent. For Ibuki's target combo, in order to get the second hit you have to push the button a second time - that's the easiest way to think of it I believe. The damage of one hit is fairly small, but if you land the entire target combo you get the damage of a special move. Just from that, target combos might sound kind of weak. But unlike regular special moves, you can stop the target combo in the middle. So if your opponent has blocked up to the 2nd hit, you can not throw out the 3rd, look for an opening, and then start attacking again. This kind of usage will give you an advantage I think. Were there any details put into her appearance? For appearance, it would have to be the "zanzou" (after image). For Third Strike characters, when they start moving quickly they leave an after image behind. 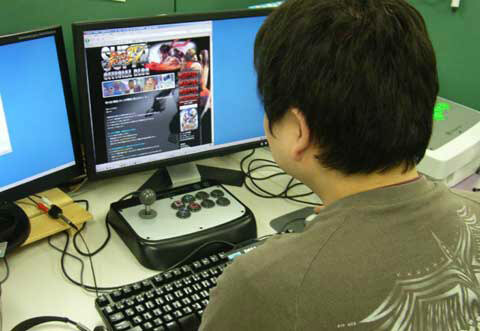 In order to get this in Street Fighter 4 our programmers and designers worked really hard. At the beginning of development, when we said we think we can make the after image happen, the staff was skeptical, wondering if it would make the processing too heavy. When you have a bunch of 3D models on the screen at once, it makes the processing burden really heavy and then things start to drop. We gave a lot of thought about how to make our ideal after images without putting too much burden on the game. 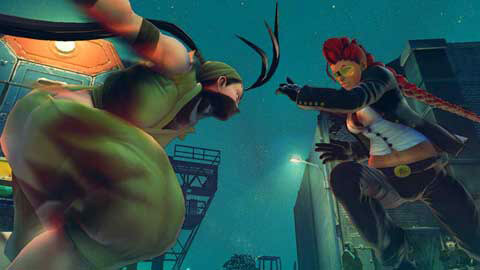 The result is that in Super Street Fighter 4, to get that ninja-like after image we've used effects. Our lead effects designer did his best to make it look like an after image without any feeling of it being odd, and I think it came out pretty good. What's the move where we can get the best look at the after image? That would be the Kasumi Gake. 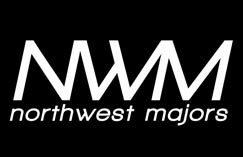 We poured our blood and sweat into creating it, so if everyone can use this move a lot I'd be really happy (laughs). Is there anything else you'd like us to pay attention to? Although her face is usually concealed by the mask, she really does show a lot of facial expressions, so if everyone would notice them I'd be really happy. Since you can't see all of her face, we tried to make it so that you could understand her faces of pain or joy just from the areas you can see above the mask. For other characters, if you could only see half their face you might not understand their expressions, but for Ibuki that area really needs to be feminine, especially from the side. So for the designers, she was probably the most difficult character to make. For the demos of Ibuki, even if we zoom in on her all we can see of her expressions is her eyes, so the facial adjustments for her took longer than the other characters. If I think about it now, I think the facial adjustment time was about the same amount of time as we needed to adjust her moves (laughs). The designer would say "How about this?" and we'd look at it and say "Change this area!" We went back and forth like that up until the final deadlines. When she says her move names, you can't see her mouth, but her entire facial area is properly animated. Yes, we didn't slack off just because you don't get to see it. She has plenty of expressions, the same as the other characters! What type of player do you think Ibuki is best suited for? Well, she's a character where you'll be plenty busy with inputs, so maybe I can recommend her to players who liked using C. Viper in Street Fighter 4, where execution is essential, or for those players who like characters with lots of options. For me, I think Ibuki is suited to those who want to get the most out of a single character - would you call it an inquiring mind? The more you use her, the more you'll find combos, and that's necessary for her. I think that aspect is fairly interesting. Would you say she's more of an advanced character than one for beginners? Beginners can use her too, but if I had to pick I'd say she's suited for intermediate. The more you improve with her the more fun she becomes, and you also get stronger as well. The target combo requires rapid inputs, but the commands are simple enough to execute, so I don't think she's a character that beginners will hate. Even if you just give her a first try you can get some dynamic movements out of her, and before you know it you'll have her moving like a pro. Do you have any tips for using Ibuki? 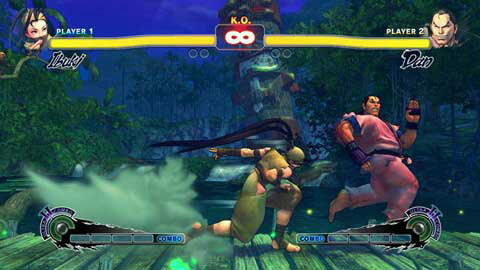 As Ibuki is fast, you can use small movements to throw off your opponent and then attack them from there. Ibuki's strength lies in close quarters, so rush your opponent down without giving them the chance to attack back - I think that'll be what decides victory. 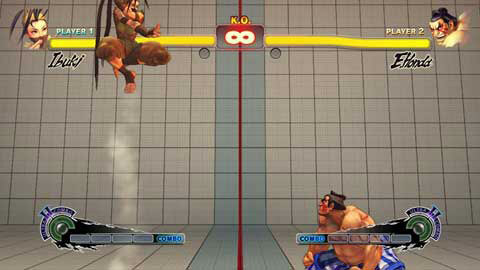 From there, Ibuki's strength will lie in her target combos, so skillful use of those will make for a strong Ibuki. For example, take the infamous Sagat LOL Combo (Tiger Uppercut, FADC, F+RH, Ultra) - for opponents who are just looking to land that, it'll be easy to start reading their patterns. But for Ibuki, she has many different target combos, and she can say "Well, this this combo won't work then I'll go this route!". So she can dish out a lot of different target combos, and her opponents won't be able to read her as easily. What characters would you like to see Ibuki match up against? 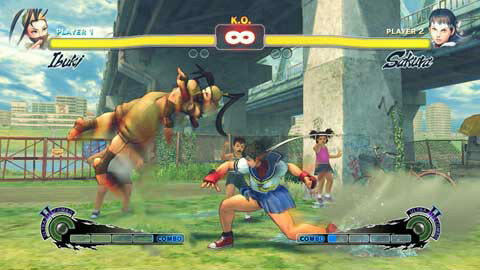 If we're talking about movements, that would have to be Ibuki vs C. Viper. For both, their specials and execution are essential, so both will have to show off some tricky play. 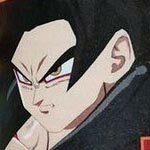 You thought you were going to pressure your opponent from the air but now you are on the receiving end - I feel like it would become a fiery battle like that. C. Viper has the Seismo Hammer, right? She has a lot of setups for it, getting you just at the right distance. So I wonder if this will be a difficult battle for Ibuki. Do you have any thoughts for the players looking forward to Ibuki? First, please give Ibuki a try. I'd like for everyone to get an idea of how nice it is to use her. As was said before she's somewhat close to C. Viper, but more than Viper you get a more direct feel of her moves, so I hope you enjoy it. Ibuki is cute even at a first glance, so that might be what you focus on, but we've also put a lot of effort into her motions and her design, so please pay attention to her whole production. Please realize her charm, even behind the mask, while playing her. As this was a character that many people were waiting for, I tried to include a lot of images. Ibuki fans, did you enjoy it? For various reasons, we couldn't show more skin around her pelvic bone, but I rather like the look of her costume. 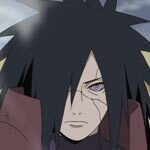 Her flowing hair is also a nice impression. So I hope you all use her at least here and there. Next week we'll be talking about Makoto. See you then!